Touring Disney’s Hollywood Studios and Disney’s Animal Kingdom can be a two-day (or more!!) mission, but there’s no reason for hunger pangs or long restaurant waits to slow you down. There are dozens of great snack options in these parks, but many visitors don’t have time to search out the hidden gems that fit their family’s preferences. We’ve combed Disney’s Hollywood Studios and Disney’s Animal Kingdom from top to bottom to find the very best snacks that offer something for everyone. 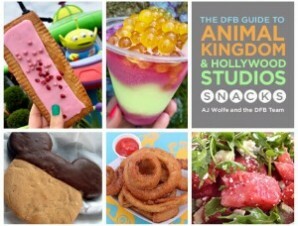 With the Disney Food Blog Guide to Animal Kingdom and Hollywood Studios Snacks e-Book, you’ll have access to photos, reviews, and prices of over 200 individual snacks in Disney’s Hollywood Studios and Animal Kingdom. Take a look before your trip to decide what snacks your family will enjoy, and find out where to find the best snack values in the park! Time is money on a Disney Vacation, get the most out of both! This book includes plenty of insider tips and details we’ve discovered through 20 years of experience! Chances are, if it’s in Animal Kingdom or Hollywood Studios, we’ve eaten it; and we’ve put all of that experience into our advice, information, and detailed reviews. Most of us spend quite a bit on our Disney vacations, so why not get the most bang for your buck? We’ve gathered our top snack values when you’re paying out of pocket, because there’s no reason to waste your money on snacks that aren’t worth the dough! 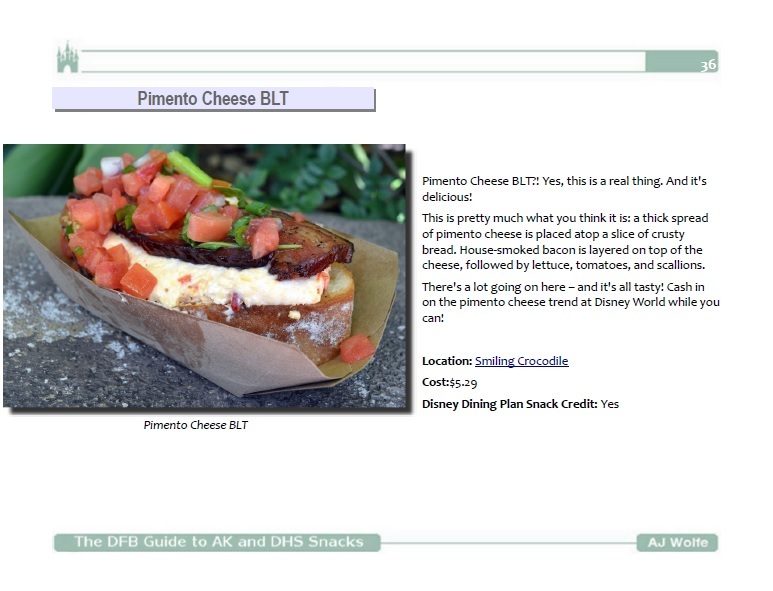 If you’re on the Disney Dining Plan, those snack credits can be worth more than you’d guess. There are plenty of fantastic snacks valued at over $4 that you can get in exchange for just one snack credit! And you can even use your snack credits to purchase enough food for an adult meal. We’ll show you how. AJ Wolfe has been writing about the food at Disney World for years, which represents the culmination of over two decades of research. She writes The Disney Food Blog, a website all about dining in the Disney parks and resorts, which has been recommended by the New York Times; Parents, Redbook, and Family Fun Magazines; Frommers.com, USAToday.com; MSN.com; and other local and national media outlets. Her photographs have appeared on FoodandWine.com. AJ has also been interviewed about Disney food on national public radio’s “Good Food with Evan Kleiman,” and on several Orlando morning news television shows. 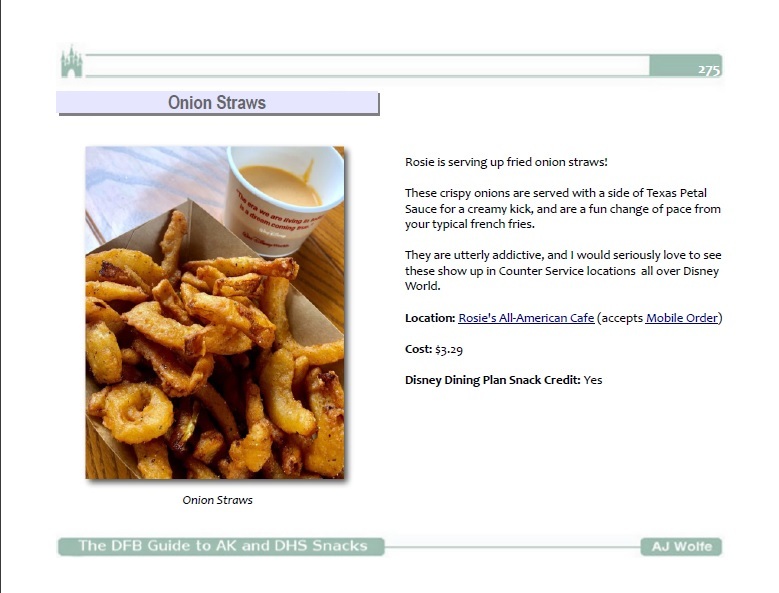 AJ’s first e-Book, the successful DFB Guide to Walt Disney World Dining (see reviews below), has been praised by thousands of readers and recommended by the Orlando Sentinel’s Kristen Ford, the Unofficial Guide to Walt Disney World’s Len Testa, AllEars.net’s Deb Wills, WDW Radio’s Lou Mongello, and Hidden Mickey Guide’s Steve Barrett, among others. 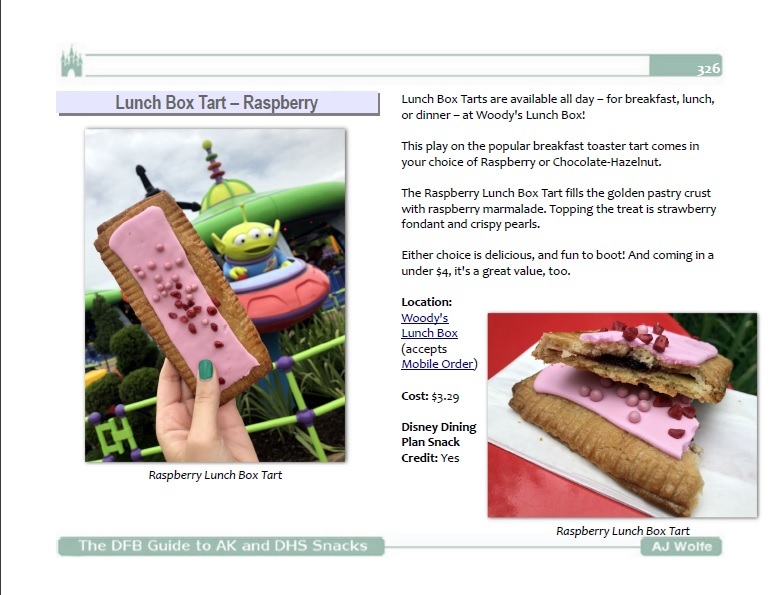 AJ has gone on to write several other Disney Dining e-Books, including: The DFB Guide to Magic Kingdom Snacks, The DFB Mini-Guide to the Epcot Food and Wine Festival, The DFB Guide to the Holidays in Disney World, DFB Dining Adventures, and The DFB Guide to Epcot Snacks. Tens of thousands of people read AJ’s Disney dining advice every day, and you can feel confident that your plans are in safe hands. If you don’t feel the DFB Guide to Hollywood Studios and Animal Kingdom Snacks is worth the price, just let me know within 30 days and I’ll refund your money. As you can see I’m very confident that you’ll be thrilled with the guide and get many times your investment back in money savings, time savings, and more fun on your vacation. EIGHT Themed Snack Crawls — a great activity for a group of any size or a solo adventurer! We’ve mapped out eight snack crawls that will take you from location to location to sample some of the best snacks that the parks have to offer. Choose from eight fun themes — or do a new one every day! Best Snack Credit Values For those visiting with OR without the Disney Dining Plan, we want you to get the biggest bang for your buck. Take a look at our favorite snack values in both Hollywood Studios and Animal Kingdom! This guide is also included in a bundle with all of our other snack guides for extra savings!